This G5 Metamorph model sports a soft gray finished aluminum handle and a satin finished blade. Real Steel's Gentleman Class G5 Metamorph is an innovative front flipper knife design from Ostap Hel. 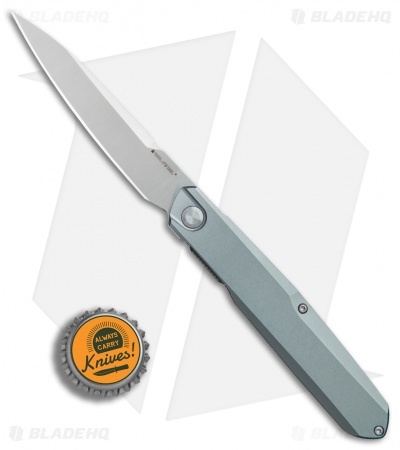 It comes equipped with a narrow 14C28N blade that rides on a smooth ball bearing pivot for smooth one-handed opening. 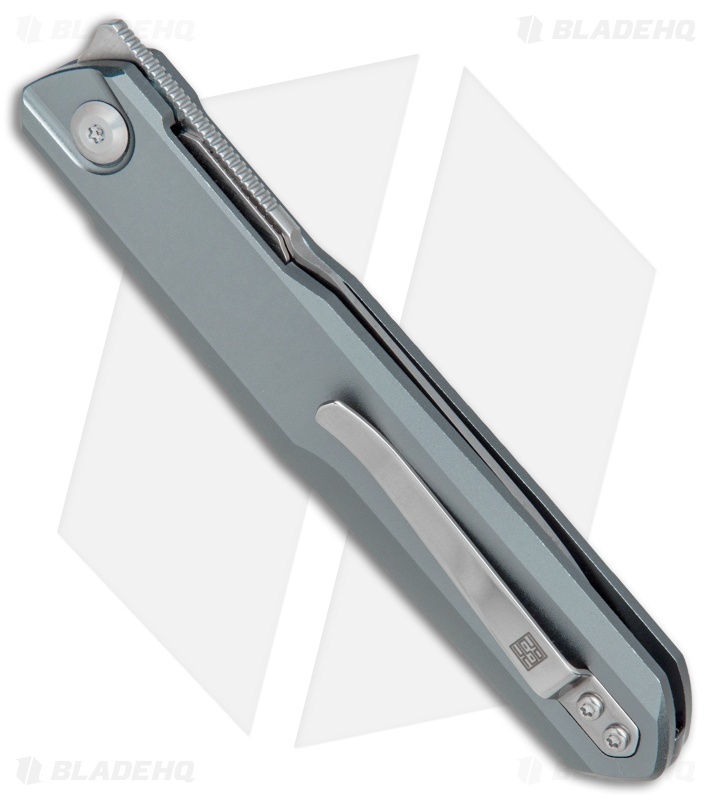 The handle and backspacer are made from lightweight aluminum over skeletonized stainless liners for reduced weight. Slender aluminum handle construction offers reduced carry weight. Removable stainless steel pocked clip for secure everyday carry. Ball bearing pivot and jimped front flipper opener allows effortless one-handed opening. I love the blade design and smooothness of this knife. I have three different colors of it. Once you get started, it gets addicting flipping it open. I highly recommend this knife. They are getting hard to find sometimes. Picked one up used, surprisingly awesome! 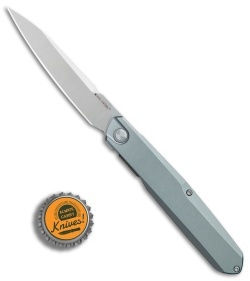 This knife stands out from every other knife in this price range for 2 reasons, liner lock and needle bearings. The combo of these two makes an almost drop shut action. My knife came full of actual thick grease on the bearings, but once I cleaned it out and added some 10 weight oil, this thing became a new animal. It’s lkke you supercharged the thing. Handle ergonomics are good, while being a little slippery due to the nature of aluminum. You aren’t using this for hard use though so it is fine. Overall, I’d rate this knife 9/10. First this has needle or roller bearings, not ball bearings. The difference this makes is it combines the smooth feeling of (good) bronze washers with the low friction, free action of ball bearings, you can't feel it rolling on the bearings. 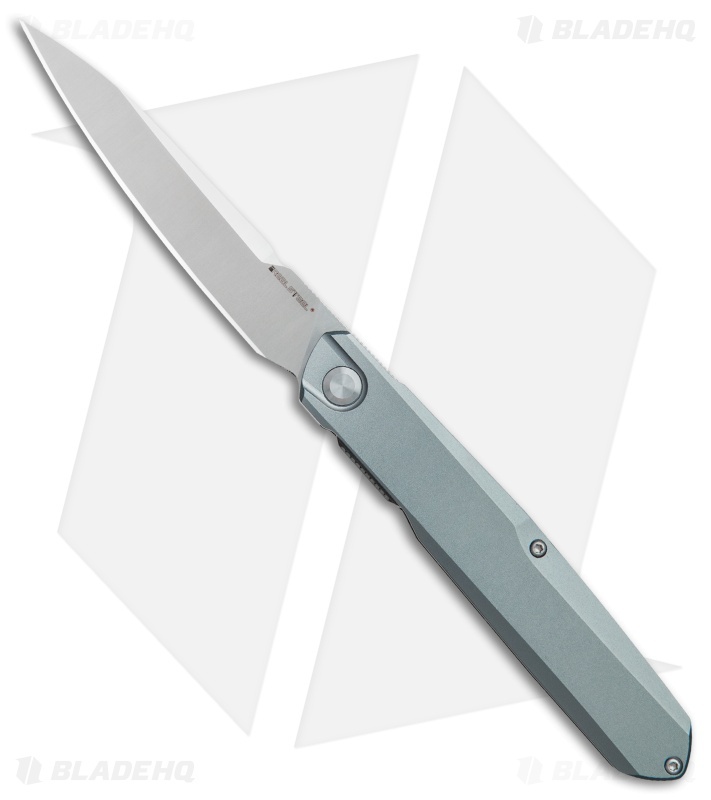 Yeah it's a front flipper, it's my first one and it took maybe 10 minutes to learn to open it reliably and I'm not a genius. The blade is slim but doesn't fall into the trap of being thick behind the edge, it's nice and thin. Tip: if you have a ruike hussar or p801 you can retrofit their deep carry clips onto this, that's how I carry mine.